Suicide has been on the rise for young Americans. A recent study from the Centers for Disease Control and Prevention has found that suicide surpassed homicide to become the second-leading cause of death for people ages 15 to 24. According to the CDC study, about 5,723 suicides occur each year in that age group. The number one cause of death is unintentional injuries. 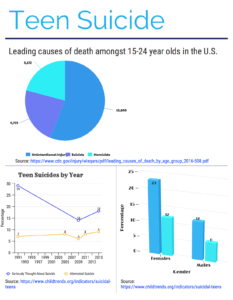 These graphics illustrate the rise in teen suicide. To respond to several suicides in schools across the district in 2009, Fort Worth ISD has implemented programs like Lifelines, a mandatory suicide prevention curriculum for faculty, staff, parents and students. In addition to Lifelines, schools have counselors and intervention specialists on their campuses available to students at all times. “We are encouraging our teachers to pay attention … because kids need somebody to talk to,” said Cynthia Bethany, Fort Worth Independent School District Crisis and Prevention Specialist. In Fort Worth ISD, if a student says something that would indicate think they were contemplating suicide, they would then take a risk assessment — a series of questions meant to determine how likely someone is to commit suicide. Even a lower-risk student would still be entered into a program meant to ensure safety and support, including a conversation with their parents. Other resources include a mobile-crisis outreach team that would send a trained professional to provide care, a national suicide prevention hotline, and Friends for Life, which is part of the Campus Crime Stoppers program. 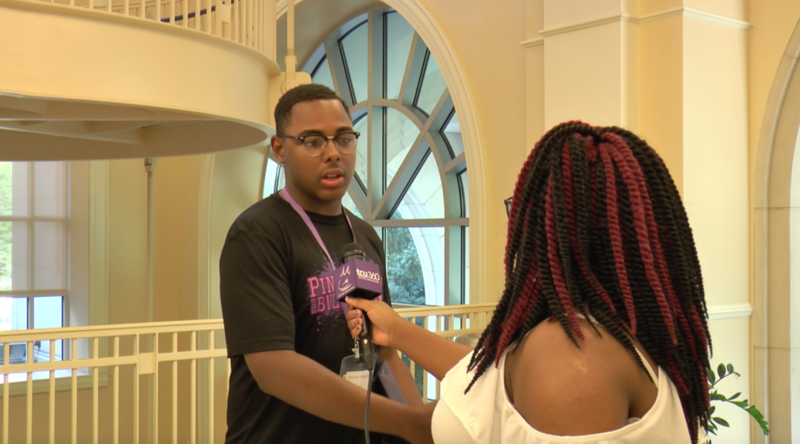 Several students said awareness of the rise in suicide has increased in recent years.